Last Thursday we attended the official launch of Pol Roger’s latest release; their Brut Vintage 2008. 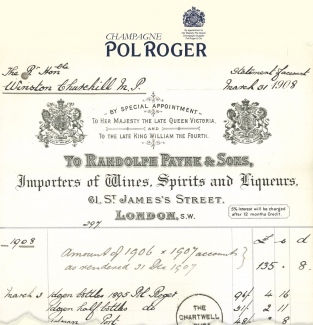 What with the patriotic connection to Sir Winston Churchill – Pol Roger being his favourite Champagne – we are accustomed to Pol’s extravagant UK launches. They’ve named their prestige cuvée after him, we’ve had Pol Roger tankards (Churchill’s preferred drinking vessel) and on the 50th anniversary of his death, they even black-bordered the labels of bottles shipped to the UK market to commemorate the great man. 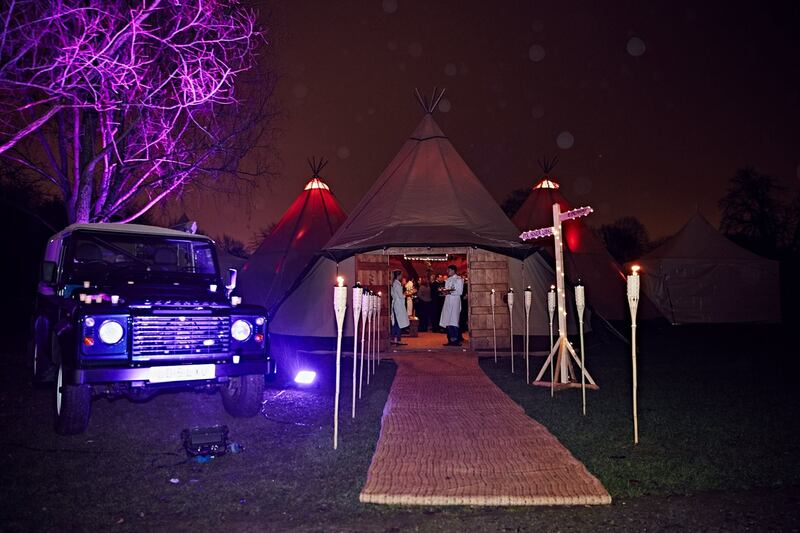 And the launch of their latest vintage proved to be no less glamorous. 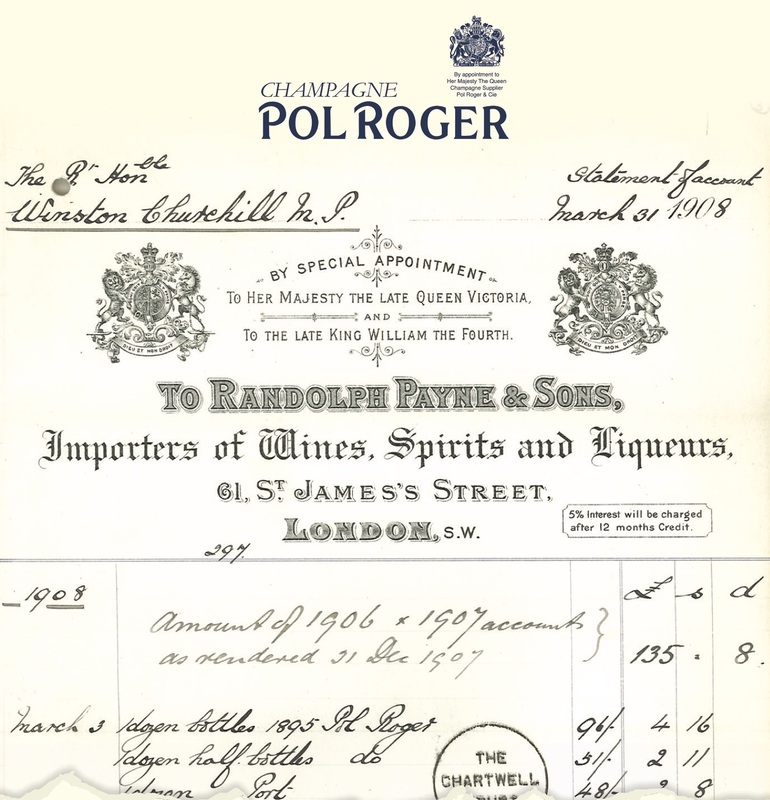 The angle this time was the 100th anniversary of Sir Winston Churchill’s first Pol Roger Vintage purchase (a dozen bottles of Pol 1895) and our invitation was fittingly printed on the back of his original order form from 1908. If there’s one thing Pol Roger do almost as good as they do Champagne – it’s ceremony. Bravo. each time a new one comes onto the market, we’re more and more impressed. 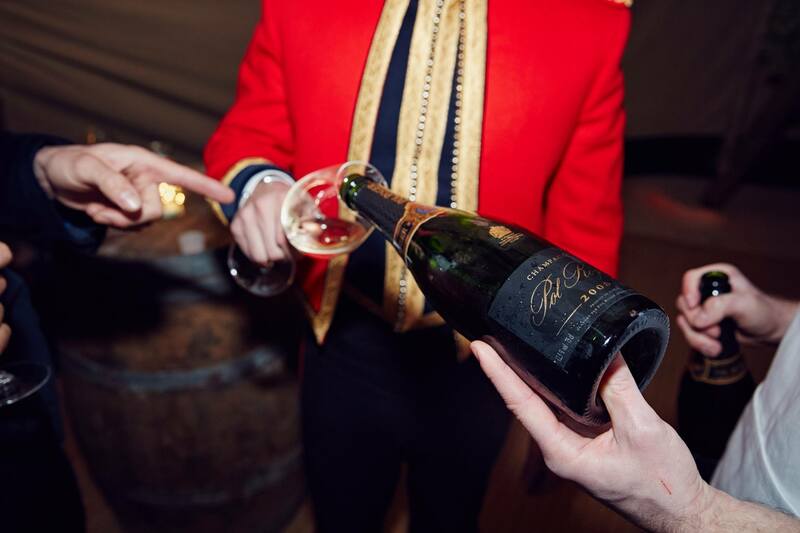 Gradually, 2008 is being accepted as the next great vintage to follow the now legendary 2002 and Pol Roger is no exception. Claiming it to be one of their “greatest ever years”, the house are really excited about 2008 and this was evident in the pageantry of its release. Pulling out all the stops, Pol located the launch at Kensington Palace and it felt more like a movie premiere than a Champagne launch. 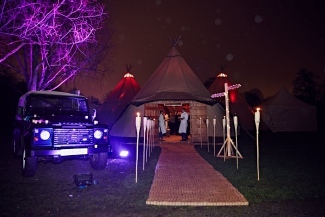 Ushered towards the ‘Pol Roger Lodge’ – a series of tipi-style marquees guarded by ‘Polly’ (Pol’s Land Rover of social media fame) – we were greeted by Laurent d’Harcourt, Président du Directoire of Pol Roger and James Simpson MW, Pol Roger’s Managing Director. 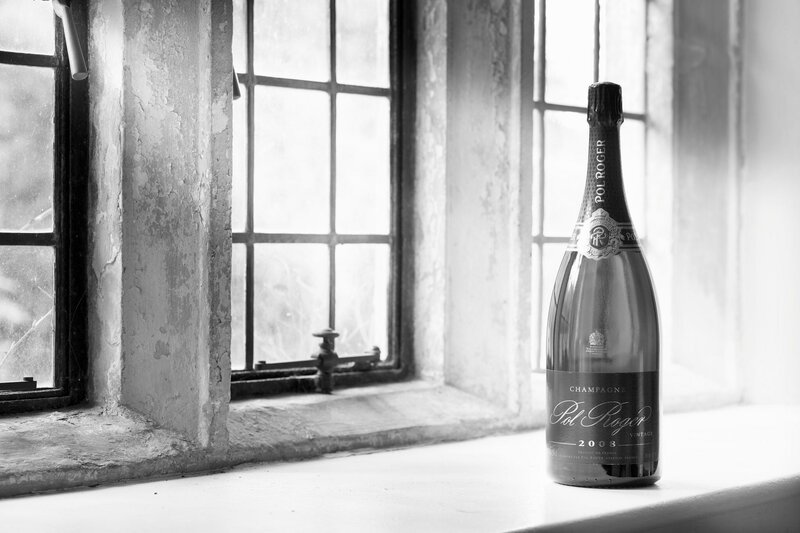 Again, the sentiment that Pol Roger Brut Vintage 2008 would exceed all expectations was reiterated and we were soon afforded an opportunity to test this theory ourselves. And credit where credit is due, it tasted simply stunning! Very ripe on the nose, it was characteristic of the 2008’s we’ve tasted so far. 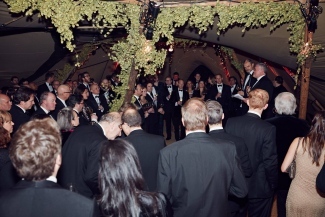 Occasionally, Pol was an enemy of its own propriety, the smoky tent making it difficult to smell the intricacies of the blend. But it’s wonderful depth of delicious fruits on the palate, a creamy textured finish that seemed to go on and on and most importantly, a more-ishness found only in glasses we just can’t put down make this one of the most exciting releases we’ve seen for a while. Pol Roger Brut Vintage 2008 – the most exciting release this year? We’ve still not had a prestige cuvée 2008 release yet and interestingly, Louis Roederer skipped Cristal 2008, launching 2009 after 2007. Winemaker Jean-Baptiste Lécaillon declared: “I think the 2008 needs more time on the lees”, leading us to think that something incredible is brewing. 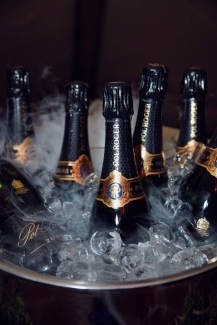 Buy Pol Roger Brut Vintage 2008 here.